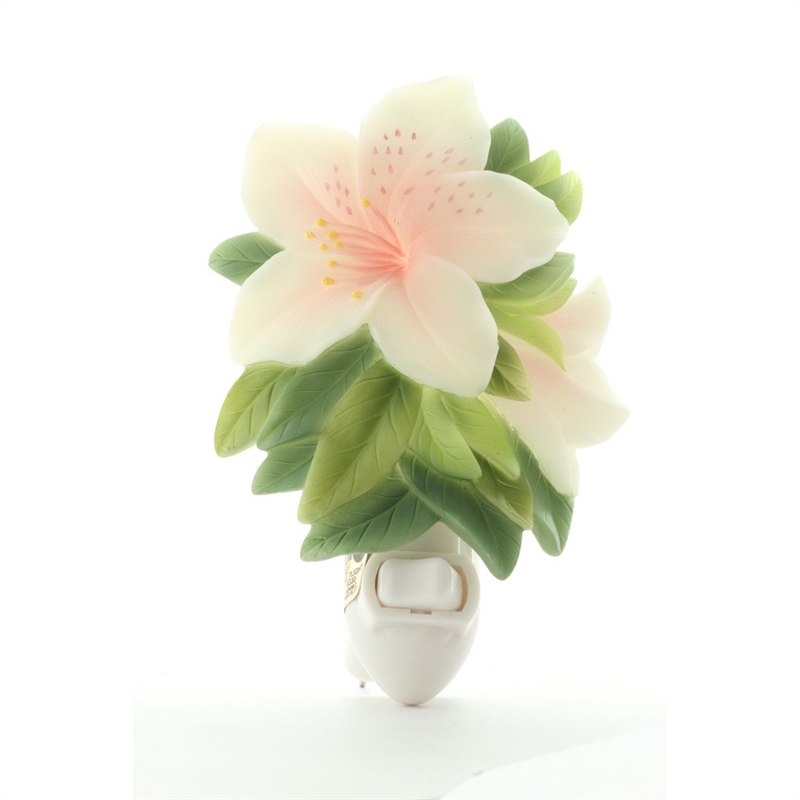 Azalea Nightlight, beautifully crafted by Ibis & Orchid, Inc. This Azalea Nightlight, beautifully crafted by Ibis & Orchid, Inc., is cast in quality bonded marble and then expertly hand painted. The pink-freckled flower has a pink center with the petals fading outward to a pale pink.